Flea markets can be found throughout Pennsylvania, some of which are open all week, others that are only open during the weekend, and some that are open every day of the year. 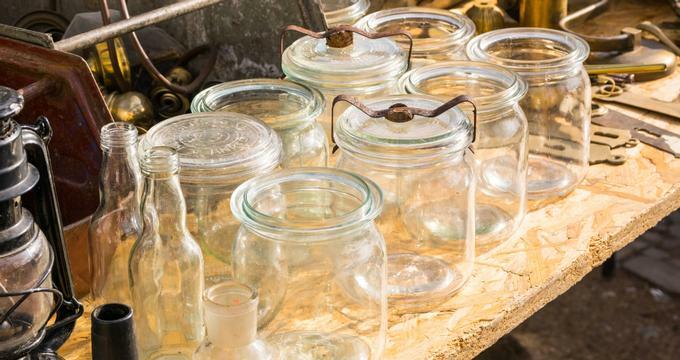 They all carry similar categories of merchandise, but that doesn’t mean that each individual flea market isn’t without its gems. Originally opened in 1976, the Blue Ridge Flea Market has been serving the Saylorsburg area in Pennsylvania annually since its inception. 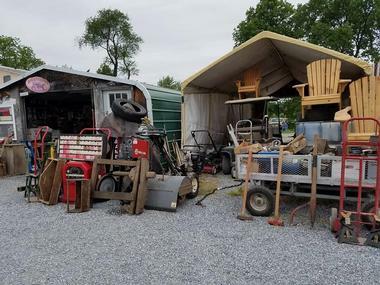 Located on the original site of the Blue Ridge Drive-in Theater, this flea market rests at the edge of the Pocono Mountains and is easily accessible from Pocono Mountain Resorts, the Lehigh Valley, and many of the surrounding communities. With an average of over 300 vendors, it is no surprise this market draws crowds of all ages, and the free parking and artisan concessions makes it even easier to spend an entire day there. 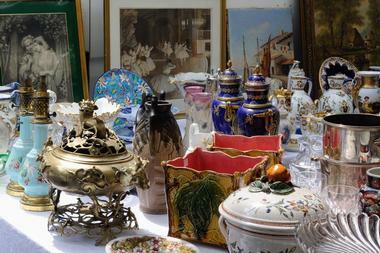 Being an indoor flea market, Fensty’s Flea Market in Bally is open rain or shine all year round. 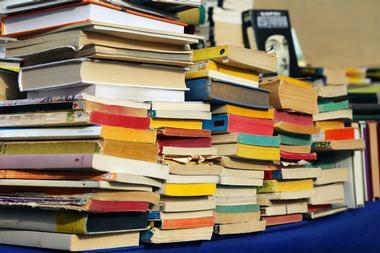 Guests who visit this market can expect to find a huge variety of items, and a majority of the stock can be divided into three main categories. Antiques and collectibles are easy to come by here, from Art Nouveau to 1940s retro items, coins and records, and even Amish primitives. There is an extended garage and yard sale section that stretches over 15,000 square feet and contains all the items you’d expect at a yardsale. 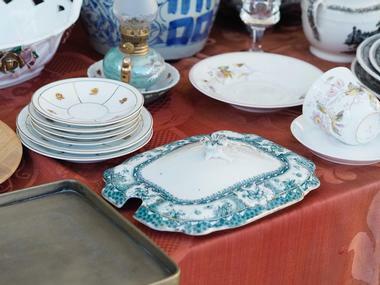 Lastly is the estate sale and clean out items section, which boasts unsold items from estate sales, collector found pieces from all over the countryside, and many other hidden gems. This year round indoor/outdoor farmers and flea market has something for everyone, from the fresh seasonal produce to the imported foods, specialty craft items, bargain furniture, and everything between. Visitors to the market can find unique discounted items from a plethora of categories that will interest the whole family: toys, tools, furniture, clothing, and more. Shoppers that get hungry may enjoy one of the many different food trucks that frequent the Freeland Marketplace, and if none of those strike any interest there are always plenty of booths selling local cured meats, cheeses, and other foods that are ready to eat. The Hazen Flea Market is typically open during one weekend a month May through October, and because of this it is quite the busy market. The Hazen Flea Market is the quintessential fundraiser for the Warsaw Township Volunteer Fire Company, and all the market staff are volunteers. This market has been drawing guests since the 1970s and has grown to include over 700 vendor sports, with an estimated 10,000 visitors on any given weekend the market is open. 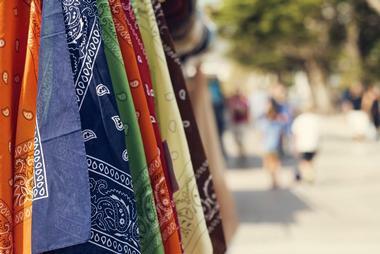 The market is free to enter, but there is a small fee for parking in a nearby parking lot. The Hunters and Gatherers Indoor Flea Market is located on the first floor of the Nomadic Trading Company building, an indoor and heaterd facility that hosts a variety of markets and vendors. 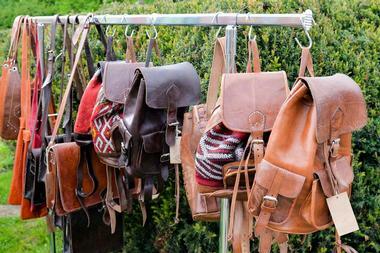 The first floor, where the Hunters and Gatherers Market is located, is open on the fourth sunday of every month. Its location in Punxsutawney makes this flea market easy to get to from Pittsburgh and surrounding cities, facilitating the perfect weekend getaway shopping trip. Founded by Jacob Triechler in 1980, Jake’s Flea Market has been in business along Route 100 ever since, with more and more vendors coming every season. An aspect of Jake’s Flea Market that sets it apart from other markets is the family and community atmosphere; folks don’t go to this market just to shop, they go to see friends, discuss town news, and gather on a weekly basis. With special events held throughout the season, indoor and outdoor facilities, and an ever growing number of vendors, it is no surprise that Jake’s Flea Market continues to thrive year after year. Leighty’s Flea Market is part of a larger complex known simply as Leighty’s, and this complex has been in business since 1909,when it was originally founded as a farmers’ market by Lloyd and Harv Leighty. Having grown substantially over the years, Leighty’s grew from a simple farmers market into a shopping destination that contains produce, flowers, halloween decorations, candy, Mark’s Computers, Snyder Photography, Leighty’s Flooring by Kinsley, and of course Leighty’s Flea Market. The flea market contains hundreds of outdoor and indoor vendors and is open throughout much of the year, drawing thousands of guests on any given day. Opened in 2010, Michaelangelo’s Sunday Flea Market has been entertaining locals of the Edinburg area and visiting guests with its weekly array of specialty vendors, events, and goods for sale. The market is open every Sunday from 6am until 3pm, offering both indoor and outdoor spaces, and it doesn’t close during any time of the year. For guests that grow hungry during their shopping there is a snack bar serving breakfast and lunch all day with a rotating menu dependent on the season. 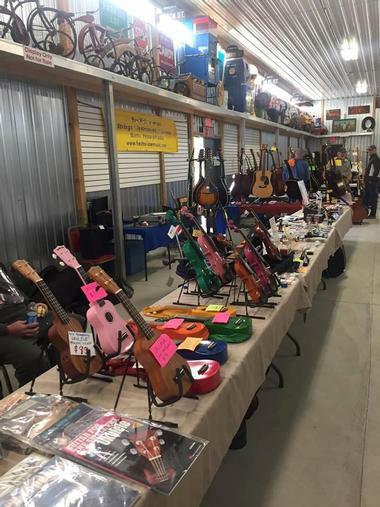 The Myerstown Indoor Flea Market is a growing market that features live music on Friday nights, a large selection of food, auctions on Sundays, occasional door prizes, and rotating vendors and items on a weekly basis. 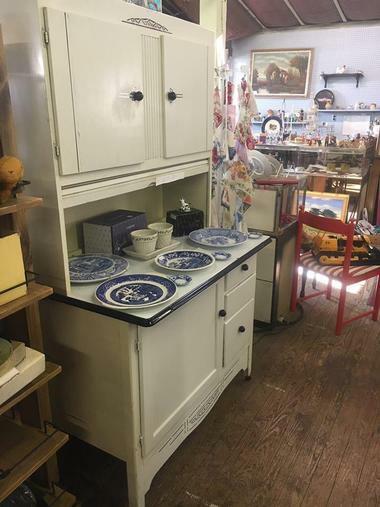 Some of the specialty items that can be found at this smaller market are carnival and depression glass, cast iron works, pottery, sports items, wood carvings, hand crafted jewelry, military items, furniture, antiques, and more. Parking is available on the street as well as in a lot, and new vendors are being added to the flea market often. Open to the public six days a week, the New Holland Flea Market draws locals and tourists alike with its assortment of vendors and Tree Top Treasures. With street and lot parking available, getting to the flea market is never a problem no matter what day of the week it is. 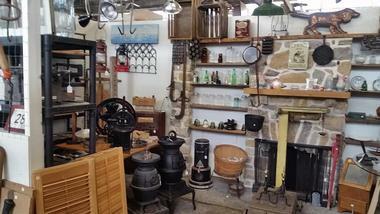 An assortment of antiques, furniture, thrift items, and more will keep customers coming back time and time again. The New Hope Flea Market is a quaint market that is open every Saturday and Sunday from 7:30AM until 5PM, weather permitting. 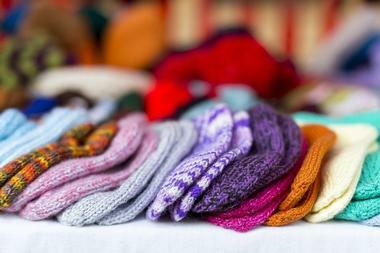 Many local vendors show up each weekend, displaying their goods on tables and racks, showcasing everything from arts and crafts to antiques and cast off garage items to new and interesting merchandise. This market is located near the Star Diner, which offers plenty of food options for hungry shoppers throughout the day. 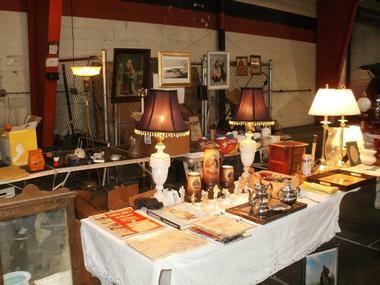 Phila Flea Markets LLC, a flea market organizing company out of Philadelphia, PA, maintains and promotes a variety of flea markets around town that appeal to a variety of different customers. All of their flea markets offer free admission, free parking, and rotating vendors, but only some of their markets are heated or indoor, and some present the options of a food court. 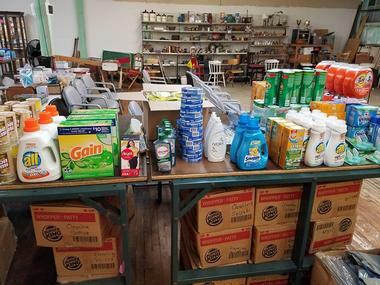 Depending on the time of the week or the specific items that shoppers are searching for, it is recommended to contact Phila Flea Markets LLC by telephone or email to inquire about which market fulfills specific needs. 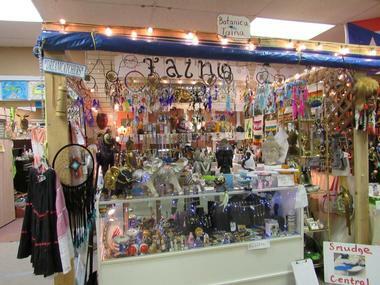 Open every Saturday, Sunday, and holidays from 9AM through 5PM rain or shine, the Pocono Bazaar Marketplace is a favorite amongst locals in the East Stroudsburg area. With everything from live music to an extensive food court, a plethora of vendors offering antiques, collectibles, and many other items, it is no surprise that the Pocono Bazaar Marketplace is busy almost every weekend with locals and tourists alike. Many indoor and outdoor options allow visitors to shop where they please, heading indoors when the weather is unpleasant or enjoying the sunshine on a beautiful summer’s day. Since its first day of business in 1974, Quaker City Flea Market has been successfully drawing in customers weekend after weekend, year after year with its extensive array of vendors and attractions. As time passed, many updates were made to the market to continue impressing customers, from adding new and brighter bathrooms to expanding the market to be both indoors and outdoors. Given that many of the vendors at the Quaker City Flea Market have been involved since its inception, it is no surprise that customers love coming back time and time again to shop and spend time at this Philadelphia landmark. Situated in Upper Bucks County since its founding in 1932, the Quakertown Flea Market has grown to be a local favorite for shopping. With over 150 diverse farmers market departments, nearly 120 different indoor flea market vendors, and 450 outdoor flea market vendors, the Quakertown Flea Market draws customers from all over to enjoy its deals and discounts. The market is only open during the weekends from Friday to Sunday, but it is open year round rain or shine, and given the options of indoor and outdoor facilities there is always a pleasant space to hunt for bargains no matter what the weather. 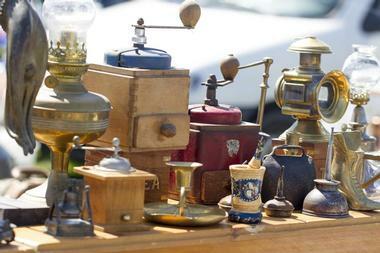 Adamstown’s original antiques market is Renningers, and every Sunday rain or shine, early morning shoppers will make their way to this indoor and outdoor market to see what the vendors have in store. 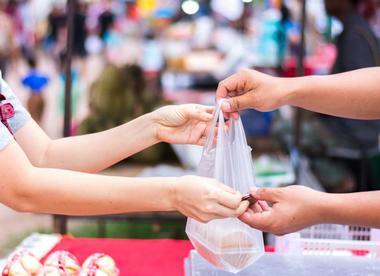 The outdoor market always opens first, and many shoppers prefer to arrive as vendors are setting up their merchandise to spot items they may want to purchase. A short while after the outdoor market opens, which typically has around 300 vendors depending on the weather, the indoor markets opens as well, allowing guests access to nearly 375 more vendors. 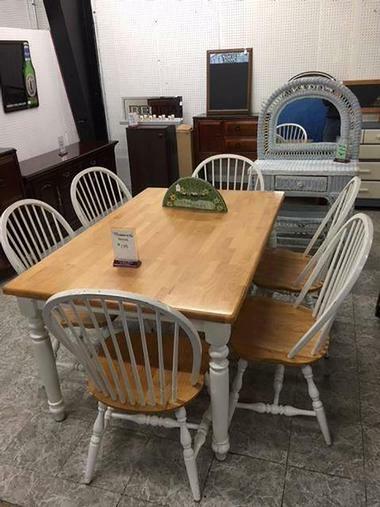 Everything from collectibles and antiques to food, hand crafted items, and furniture can be found at Renningers in Adamstown. A local tradition as well as an antique, farmers’, and flea market, Renninger's Market in Kutztown has been drawing guests to its market since 1955. Featuring both local and regional vendors offering fresh produce, meat, dairy products, antiques, art, furniture, and more, this weekend market is more than just a place to buy goods. With special events throughout the year, guests are invited to check the calendar frequently to find out when the next Antique Radio Show, Kutztown Musician’s Swap Meet, or harvest festival will take place. 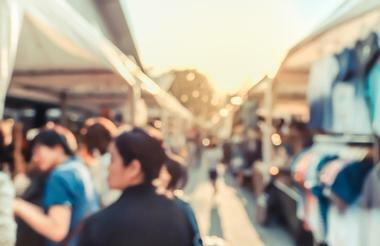 But even when there are no special events happening, there are still over a thousand vendors on average to visit, more than enough to keep even the most dedicated of shoppers busy all day. What began primarily as a produce and livestock market has since evolved into an extensive outdoor market where bargain shoppers come from all over to search through the collection of over 400 vendors offering clothing, household and gift items, antiques, collectibles, baked goods, produce, and more. As the largest and oldest outdoor market in Bucks County, Rice’s attracts more than 8,000 shoppers per week, both locals and tourists alike, who come to peruse the vendors spread out over 30 acres of outdoor market. 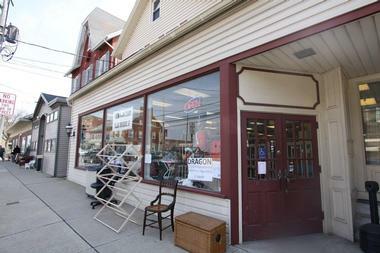 Open Tuesday and Saturdays, March through December, Rice’s is one of the premier destinations in New Hope for bargain goods. Tracings its roots back to 1925, when it began its long history as a poultry auction, Root’s Country Market and Auction has since evolved into a flourishing country market that features bakeries, delis, butchers, local product, handmade collectibles, and more. With such a long history, it is more compliment than surprise that many vendors and stand holders at Root’s are 2nd, 3rd, and 4th generation merchants who have maintained their families tradition and picked up the mantle from generations past. Whether searching for a bargain or just looking to pick up some fresh local produce, Root’s is a destination that can satisfy many needs. 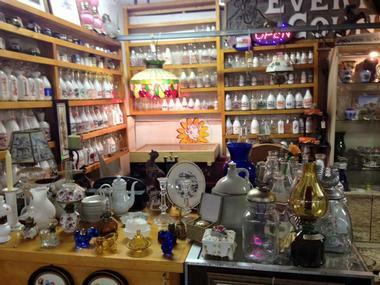 Praised by locals as a collectors paradise, Root’s Old Mill Flea Market has been in business since 1983 and has been drawing customers since it opened. 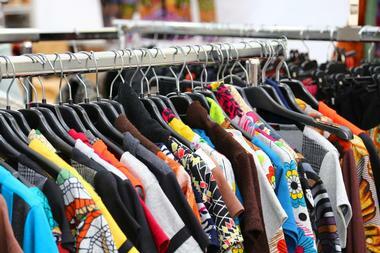 With over 175 vendor stalls located both indoors and out, customers to the market are sure to find something they desire while perusing the seemingly endless aisles of merchandise. If customers cannot find what they want at Root’s Old Mill Flea Market in the extensive selection of vintage artwork, furniture, estate jewelry, household items, and more, they are invited to head across the street to Root’s Country Market and Auction to try their luck. Saturday’s Market, a quintessential piece of Middletown, has been drawing crowds from all over the region since its inception in 1957. It began as a family owned and operated business that started out with just a few merchants, but as time passed and its popularity increased, more customers became regulars to the market and more merchants asked to participate. Designed to be fun for the entire family, this market offers fresh food, antiques, furniture, toys, and more while serving the local community in various ways. There is ample free parking, so making a trip to Saturday’s Market stress free and exciting. 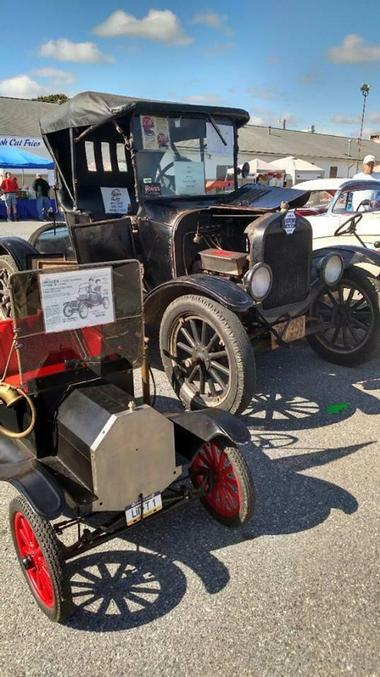 The Farmers’ Flea Market in Mechanicsburg, PA was founded by the Williams Grove Historical Steam Engine Association in 2007 as a way to make ends meet after purchasing a large swath of land. The market is run primarily by volunteers, and since its creation it has grown in popularity to the point of maintaining around 500 vendors throughout the summer season, April until October. 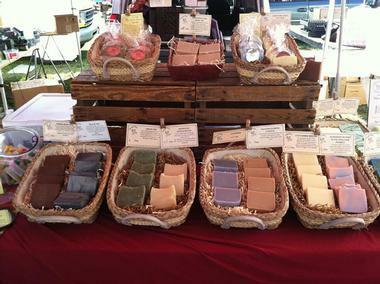 The market is open year round, but it is dependent on weather since it is outdoors. With plenty of space for parking, a plethora of vendors to browse, and countless goods available to purchase, it is no surprise the Farmers’ Flea Market is busy on any given weekend. 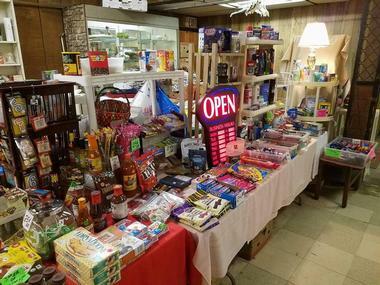 The Indoor Flea Market in Wind Gap is open year round and offers a variety of vendors in a comfortable indoor setting, no matter what the weather may be like outside. 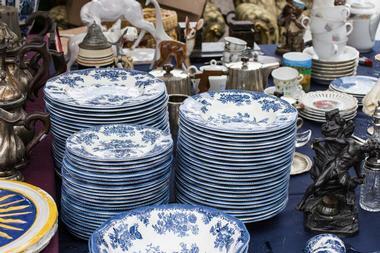 With food, trinkets, treasures, antiques, furniture, toys, jewelry, and more available, customers flock to this indoor flea market on the weekends. This indoor co-op outdoor flea market combination offers guests the best of both worlds when it comes to seeking great deals on necessary and whimsical items. From local food to toys and trinkets, guests of all ages are likely to find something they desire at the Stubborn Dutchman, and since it is open every Thursday through Sunday all year round, it makes it easier than ever to stop by. The outdoor booths are set against a country backdrop featuring the landscapes of Lebanon county, and parking is easy and free. The Willow Glen Flea Market is open every Sunday from 5AM until 1PM, so long as it isn’t raining because the market is completely outdoors. Dogs are welcome, families are welcome, and parking is easily attainable and free. There are many vendors selling a wide assortment of items, but the highlight of the Willow Glen Flea Market is that food is available from Konopelski Katering, a catering company that is highly rated and well respected by the local population of Sinking Spring.